A presentation at the Braithwaite Hall by Will Alsop in January 2007 announced the beginning of a process of community engagement and design for Croydon. This culminated in a plan for the town centre which will produce a city that can fully realise its potential as a successful commercial, residential and retail community, respected as a business centre and sought after as a place to live and visit. The work carried out for Croydon Council comes within the larger framework of the Croydon Metropolitan Centre Area Action Plan. This provided an overall Development Plan Document for the town centre. Five Workshops were carried out over an eight week period at the inception of the project. Developing people’s ideas with them through a series of creative and fast moving discussions, led to the production of a collection of drawings and statements. Through these Alsop was able to gain access to a vast and varied array of hopes and aspirations for the town. The citizens’ aspirations hinged on good quality public space. 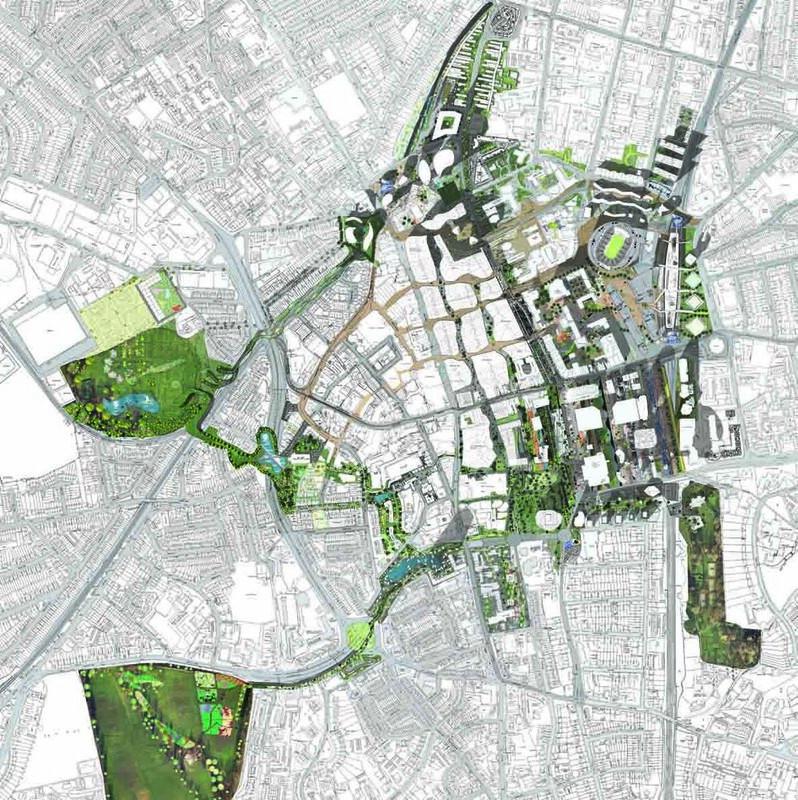 Alsop’s vision boldly links the three unseen parks of Croydon together with swathes of green and new squares, also revealing the more historical parts of the town. These new links tackle the many north/south barriers, going under, over, through or around the various dual carriageways and tracks. This new linked place will become London’s third city, a metropolis filled with residents only 10 minutes from London’s first city.